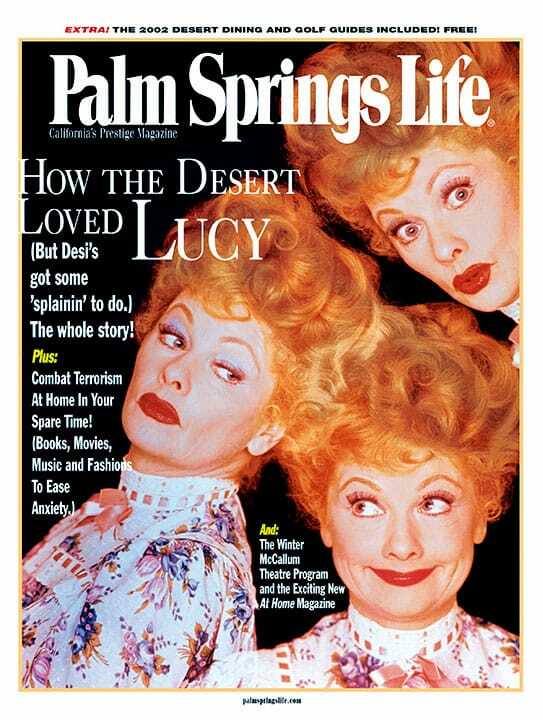 ON THE COVER — The desert knew all of Lucille Ball’s moods, from playful to serious to a fighter of injustice. Read all about how she and her first husband Desi Arnaz came to the desert and what they built out of the desert sand. 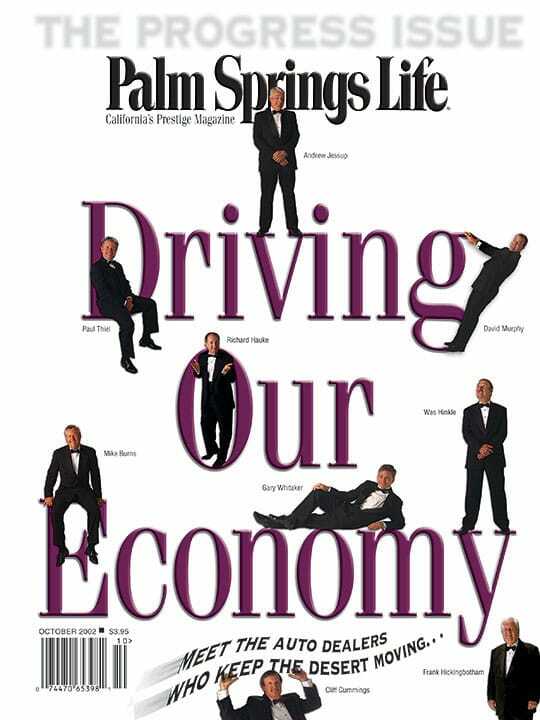 Allene Arthur tells the whole story, including the inside scoop on Desi’s philandering ways with great quotes from their friends and co-workers. Photography courtesy Thunderbird Country Club and Hollywood Memories. Taking a break from making TV history, the Arnazes settled into the desert lifestyle — she played cards and games; he played golf and… around. Through it all, they loved each other to the end. A fun (and revealing) read. By Scott Cole, Susan Redstone, Sarah Hagerty, Hank Stokes and Stewart Weiner. The outside world may be full of terrorism and danger but the desert lifestyle is here to calm the soul. Even so, just in case you’re feeling a little jumpy, here are some ways to soothe your senses and regain equilibrium. Edited by Jean Penn. 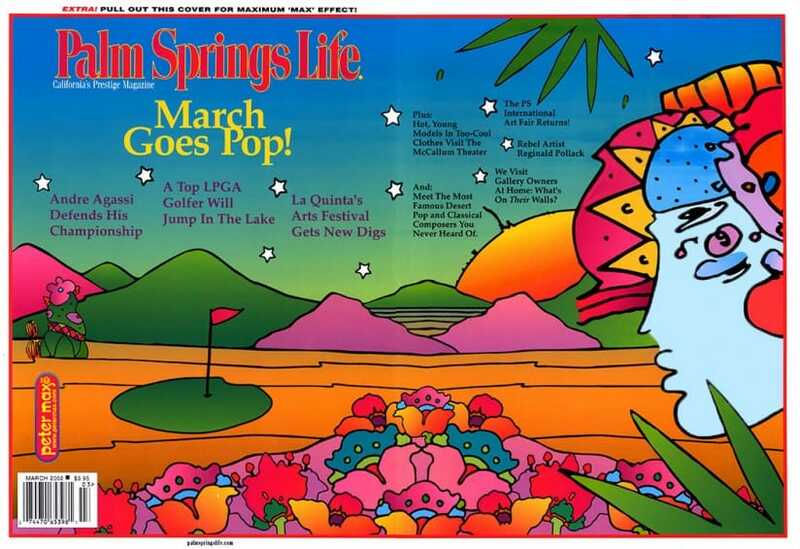 Designed by Bill Russom. Meet Guy Evans and take a lap around the lake at the new ShadowLakes estate. Also we talk to a real rock star. All the desert’s courses with maps, stats. Plus classic duffers. Edited by Sarah Hagerty. Designed by Stuart Funk. Edited by Donna Curran. Designed by John Thompson. Every restaurant in the desert, by area, by cuisine, by price. Plus a look at some of the spiciest eateries in the area. And the area’s most prolific restaurant designer shows us how he creates dining spaces that attract and keep diners coming back.